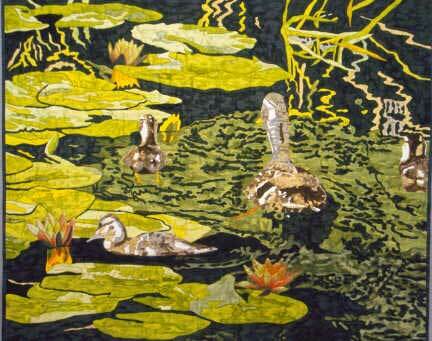 57 1/2" w. x 68 3/4" h.
A mallard duck and her babies swim among the water lilies. Techniques used: dye painted silk, disperse dyed polyester transfers, trapunto for the flowers and birds, machine applique, machine quilted. 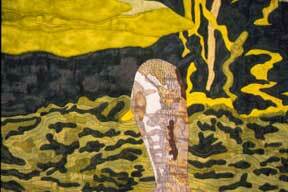 All fabrics by the artist.